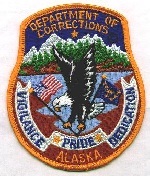 The following is a list of all the jails and prisons in Alaska. Each prison and jail listed has important information and answers to frequently asked questions such as how to do an inmate search, or mail an inmate. How to send money and what the physical address of the institution is for visitation. Telephone numbers, visiting hours and other inmate related information can also be found. At PrisonPro we do our best to ensure the visiting hours of our site are accurate, but from time to time we do make a mistake because the visiting hours at prisons and jails can change frequently. Be sure to verify all visiting hours with the correctional facility by contacting the institution before you visit. If you find that we have the wrong visiting hours for a facility please let us know by leaving a comment at the bottom of the page for the institution.